It's official! 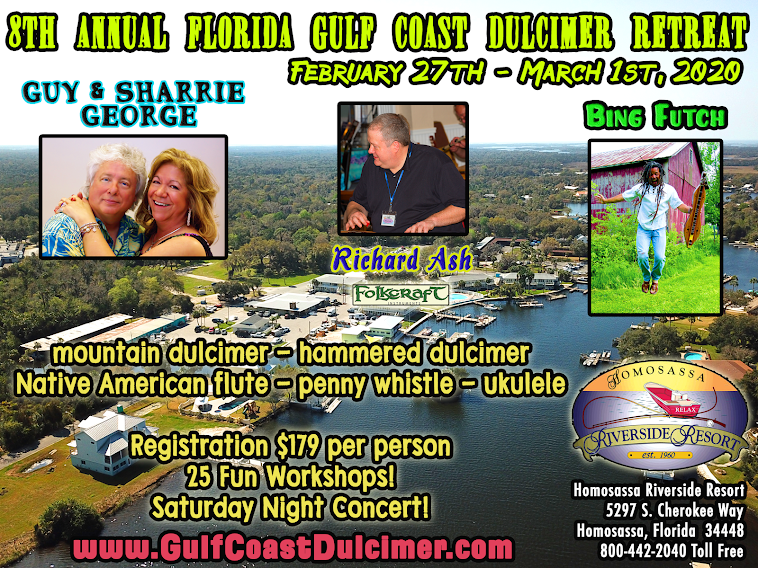 We'll be back for the 3rd Annual Florida Gulf Coast Dulcimer Retreat January 29th - February 1st, 2015 at the Homosassa Riverside Resort! Once again sponsored by Folkcraft Instruments and featuring as instructors Bing Futch, Richard Ash and Guy & Sharrie George. We'll be doing the Manatee Orchestra again as well as our post-retreat run to Walt Disney World. Don't miss out on another year of fun! 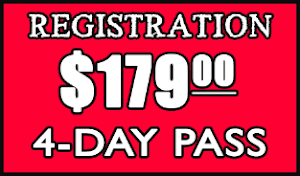 The information to the right has been updated - get your registration in and your accommodations set soon; we had peak attendance this year and will need to cut off registration at some point. People are finding out about our fun little secret in Old Florida. And take a look at some of the pics and video from this year's event! Well, we did manage to get a little sun on the fourth and final day of the retreat. We control many things, but the weather is not one of them. At least it wasn't freezing and snowing during our four days of fun; here's hoping that next year is even warmer! Please think about joining us again next year where we'll have all new workshops, same four instructors. It's an awesome formula and we'll stick with it. January 29th - February 1st, 2015! Thanks again to the Homosassa Riverside Resort for providing an incredible place for us to do this. 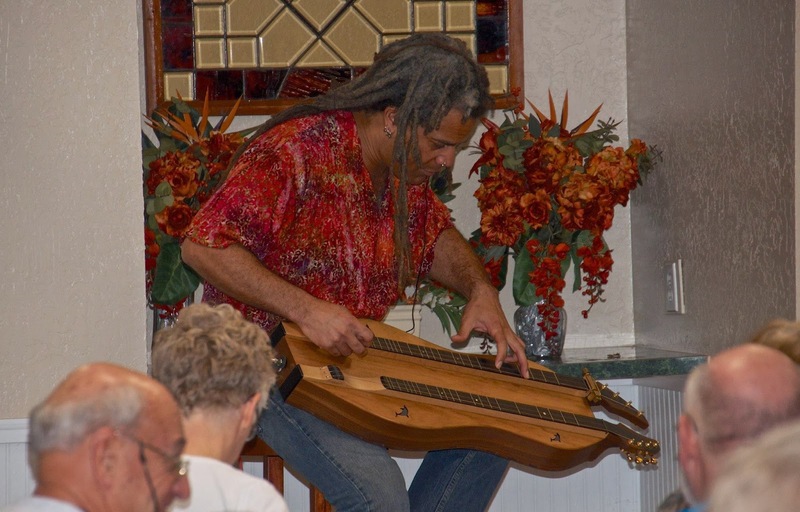 Thanks to Folkcraft Instruments﻿ for sponsoring the event and to Richard Ash﻿ for his fantastic classes, concert performance and assistance with the guests. thanks to Guy George﻿ and Sharrie George﻿ for the workshops, wonderful performances and organizational details. To Allen and Deborah McCord﻿, Tom Ransom﻿, Les Green and all the volunteers who lent a hand to make this retreat really sing a smooth song, THANK YOU! And to Jae Futch﻿, my wife and my life, thanks for everything you do behind the scenes, and onstage, to bring magic to the events we produce. Most of all thanks to everyone who attended from near and far! Please post your pictures of the event and share with others - let them know that we'll be capping attendance next year to keep it intimate, so don't miss out on another fantastic week in Old Florida! 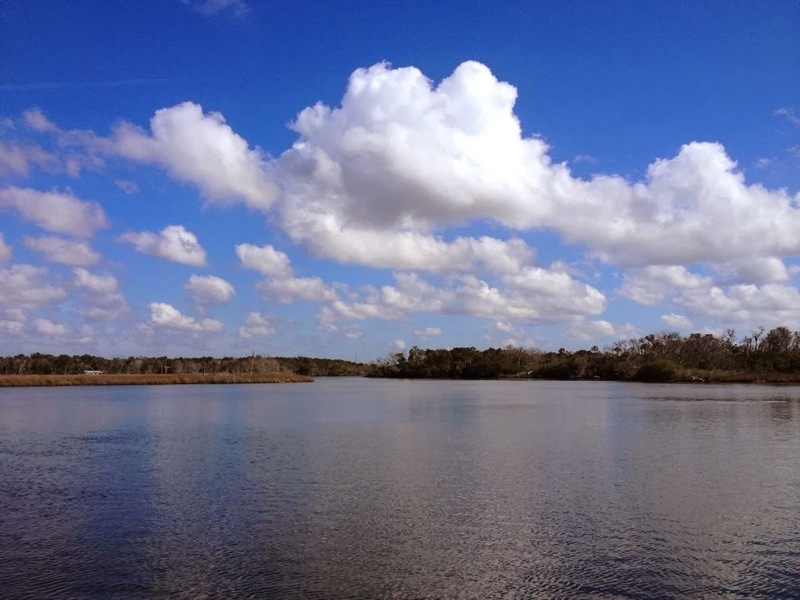 Oh, and Bill Colbert once again has given us permission to use his photos from the retreat. He did a great job last year, so here are the links to see what Bill saw through his lens. Thanks, Bill! 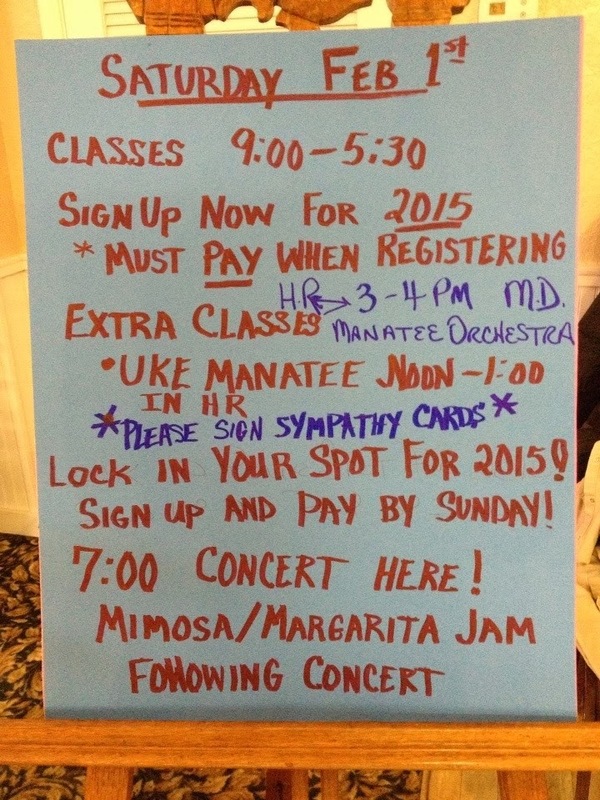 Looking forward to tonight's concert and the debut of the Manatee Orchestra! Also, be sure to lock in your registration for next year - sign up and pay by the end of the retreat and you're in!